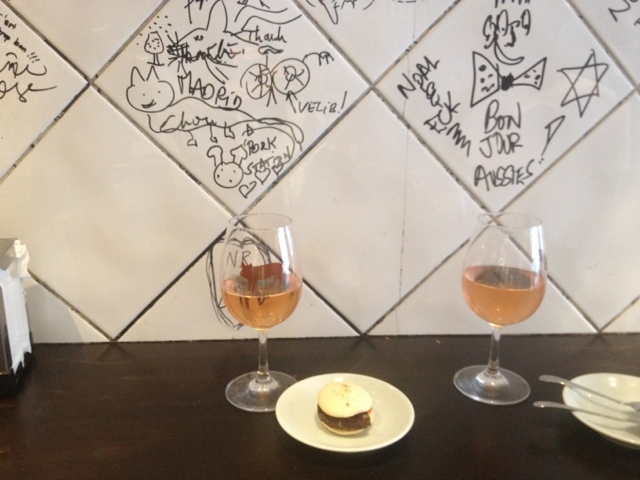 Jack Of All Travels: World's Tiniest Wine Bar in Paris! 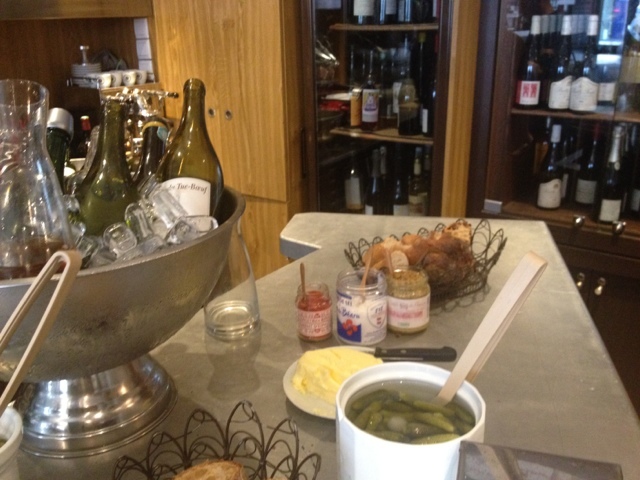 I read about this tiny, standing-only wine bar in the heart of Paris. I was sold when I heard they serve tapas style French plates like foie gras skewers. I'm a sucker for hole-in-the-wall hidden gem types. 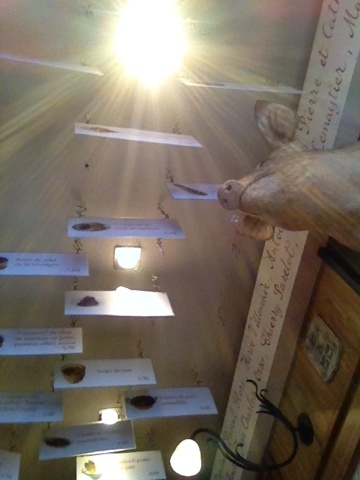 Each of the menu items are printed on plaques hanging from the ceiling. The staff wasn't too keen on helping us translate so we decided to take a chance on two items that looked good from the menu photos. A savory macaron was presented to us so delicately, how precious! Right away I saw a chunky, brownie looking piece of meat between two cake cookies and I knew that was blood sausage! Upon the first bite I noted the flavor was tolerable, but had the sweetness of a macaron. I was really confused and borderline grossed out. I'm not there yet. 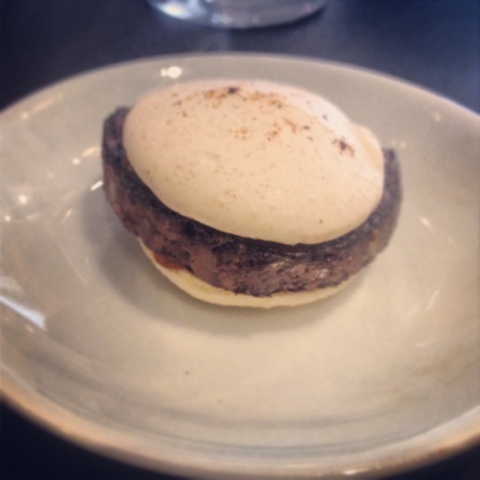 My palate just isn't sophisticated enough for a blood sausage macaron. 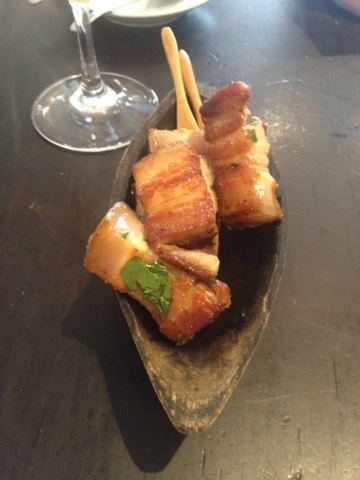 Next, a small plate of sauteed pork belly. It was awesome. I tried not to eat so much of the fat, but it was inevitable. We enjoyed a glass of rose with the two small plates. At the bottom of the glass, there was a powdery residue. I'm not sure what that was about, but I drank it anyway. We tried a chocolate coconut crepe here as well, but I won't even discuss it. It was dry and bland. The man use his bare hand to sprinkle coconut all over it and I just wasn't down for that.